The fifth generation of mobile communications—or 5G for short— has the potential to profoundly impact the way we use our phones and other devices. However, in the run up to the launch of these newfangled networks, carriers are getting incredibly petty about about their messaging, especially when it comes to what their competitors are saying. This time, in the latest edition of Billion Dollar Companies Got Beef, AT&T filed a complaint with the National Advertising Bureau—the advertising industry’s self-policing regulatory division—over what it claims are misleading ads made by Verizon. Based on an analysis of Verizon’s various ads, the NAD has recommended that Verizon should change or discontinue some of its messaging, though it stopped short of accusing Verizon of any wrongdoing. Naturally, Verizon is appealing the decision, saying these ads are designed to build the company’s brand and simply a means of showing its corporate pride. Ew. It’s all very ticky-tack stuff, and Verizon shouldn’t have jumped the gun with its claims of being the first to 5G this early. But here’s the thing, if we’re evaluating which carrier has the most misleading 5G messaging out there right now, it’s probably AT&T. Earlier this year, AT&T decided to rebrand part of its 4G LTE service as 5G E, which stands for 5G Evolution, and even updated phones using its network to display a little 5G E. The problem is 5G E simply isn’t 5G, it’s merely a different name for a collection of LTE Advanced Pro tech and protocols that are already available on current gen networks and devices. The devices hadn’t changed and neither had AT&T’s network, and as Opensignal proved last week, download speeds for AT&T 5G E phones aren’t actually any better than equivalent devices on competing 4G networks, and in some cases, were actually a tiny bit slower. In fact, AT&T’s use of 5G E is so egregious, Sprint is suing AT&T for being deceitful. And while Verizon may have jumped the gun about its claims of being first to 5G, at least Verizon does have a concrete day (April 11th) for when its 5G network will officially go live to mobile consumers. 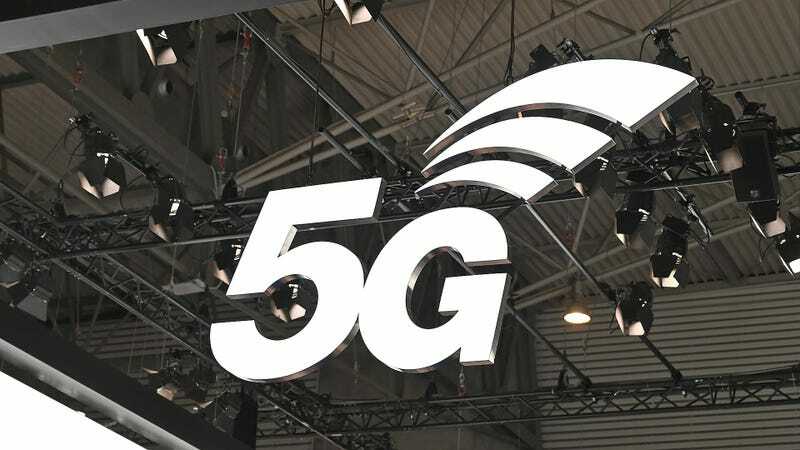 That’s more than any of the other carriers can say, and if Verizon does indeed launch mobile 5G in mid-April, it will be the first to deliver 5G services to phones. In an ideal world, all the carriers would stop making up bogus claims about 5G. Unfortunately, since it seems there aren’t any repercussions about what carriers can and can’t claim about next-gen wireless tech, this probably won’t be the last time one of the big wireless giants gets accused of stretching the truth.